The second single from the debut album from Renegades of Munk, Help is on the Way features The Stiff Gins, NeHo, L-Fresh the Lion and Luka Lesson.Reminiscent of the Wu-tang Clan this track is a funk soul gem with a powerful message. An arresting groove from the opening stanzas. The listener then free-falls into a refrain which, if not for the unmistakable R&B harmonies, could be mistaken for a GRP or Bluenote masterpiece. Brisbane based hiphop outfit Impossible Odds announce debut Album “Against All Odds” + National Tour. “Against All Odds” covers a lot of ground. From battle raps to faith, facebook to musicality and of course Indigenous identity, as seen through the eyes of somebody who gives a damn about all of it. 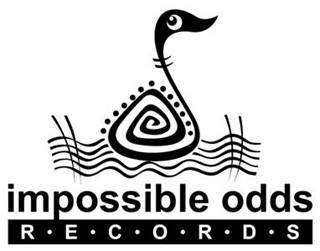 Impossible Odds New Single ‘Everything’ Based around the core of front-man MC Rival (aka Fred Leone) and DJ Returnagain, Impossible Odds are an Indigenous Hip Hop/Soul group from Brisbane. Odds are an Indigenous Hip Hop/Soul group from Brisbane.